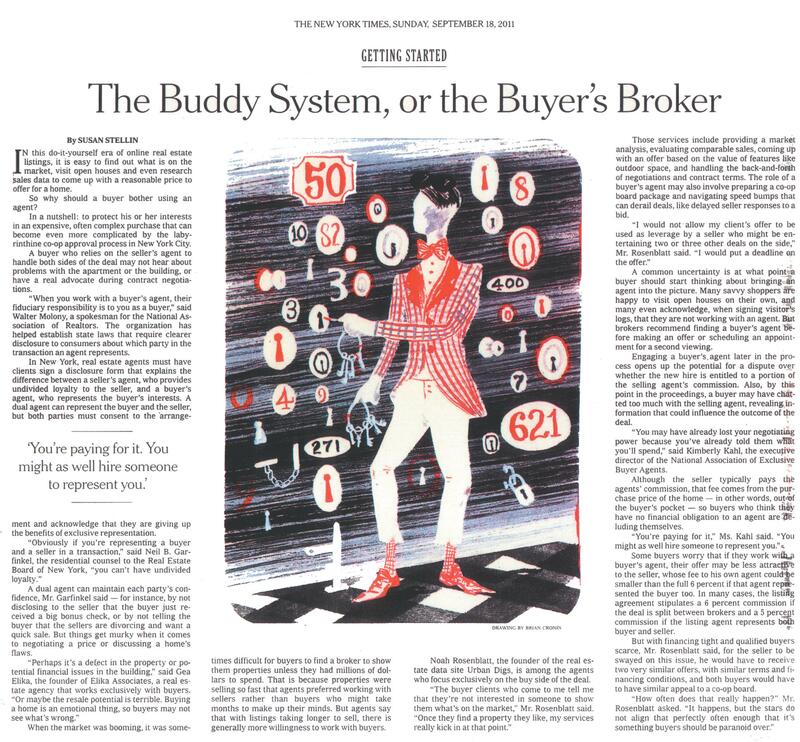 6/30/2016 StreetEasy Should You Hire a Buyer's Broker in NYC? 07/22/2015 New York Observer Who's on first? 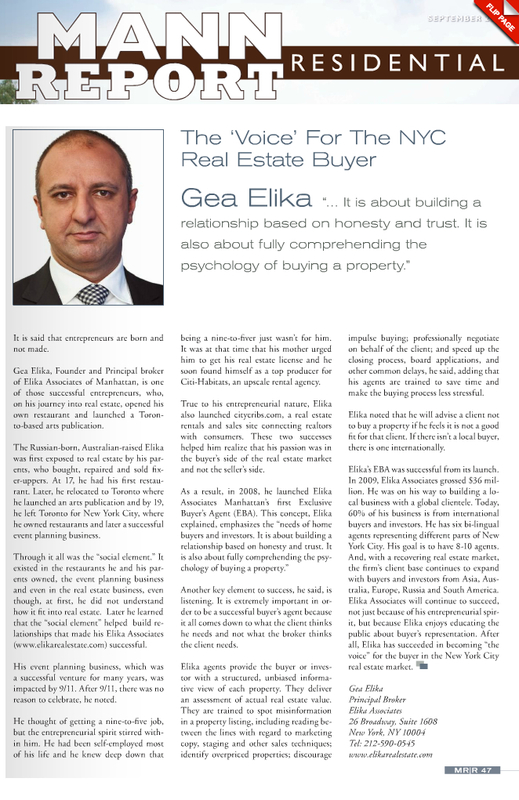 10/20/2013 Epoch Times Why Work With a Buyer’s Agent? 07/31/2013 The Real Deal Where in NYC would the royal baby reside? 12/10/2009 AOL Housing Watch Wall Street: Will the Bonus Buyer Return?